who financed Erdogan’s pseudo Islamist “Justice & Development” Party with CIA drug money. The whole “Arab Spring” Islamist movement is modeled on Turkey, a Mossad-CIA state, run by crypto Jews. “Bortecine,” a Turkish patriot, suffered career ending consequences for investigating the Illuminati Jewish-controlled agencies behind terror and assassinations in Turkey. I was born in Turkey. I have always been a brilliant student. I was able to read and write before primary school. I was number one in primary, secondary and high school. In the first year of the high school, The Judaist Imam Fethullah Gülen’s servants asked me to join their Judaist Muslim Sect. Fethullah Gülen has been working for the CIA since 1964 and has been collecting brilliant students to use after graduation. Their sect is the biggest in Turkey. They rule AKP (the governing Justice and Development Party), Turkish police, army & intelligence agencies and much more. I refused their offer and continued my education. I have never joined a political organization in my life. I have no criminal background. Because of my refusal, I became a pariah. After high school, I entered University and started to study International Relations. In the second year, I researched Terrorism, New World Order, 9/11 and more. There was a study group and we were free to research what we wanted. This study group was not related to our university lectures. During my researches, I investigated everything with help from some police officials, Parliamentarians, academics, soldiers and former agents. I read all the documents I could find. But there was something interesting. I noticed that I was being followed by some strange men. They were spies of the Illuminati Jewish-Controlled Turkish Intelligence Agency (MIT). In the last year of the Bachelors, a publisher offered to publish my research as a book. It was fantastic opportunity for me but I refused because I decided to use the research as my master thesis. And after Bachelors I started to study at a Master program at the same university. My Master thesis was ready when I started to study. There was a lecturer at the university who was working for the Turkish Intelligence Agency. He knew about my work. In the second year of the Master Study, I was expelled from the university by the order of the Turkish Military Forces. Turkish Intelligence Agency acts like a Branch of Turkish Military Forces. They used this lecturer to expel me from the university. If I hadn’t been expelled, I would have been an Associate Professor by now. In Turkey, the Jew controlled Turkish Military and Intelligence Agency are behind all political assassinations. They created and supported all terrorist groups. They didn’t want anyone to investigate because anyone could see them behind all the Dark Affairs. Like all Jewish affairs, these must be secret. By now, around the World approximately 90% of the Intelligence Agencies are controlled by International Jewry. MOSSAD, CIA, MI6, SVR, MIT etc. Jews have to act in secret because they have been planning to destroy humanity so they must hide their aim. Otherwise, the 14 million Jewish traitors will be killed like dogs by 7 billion people. One of them was Uğur Mumcu, left. He was a journalist and academic. He knew a about the Kurdish Terrorist Group PKK. He knew that “Abdullah Öcalan, the leader of PKK, was a spy of Turkish Intelligence Agency.” He wanted to wake up the Turks. His wife is a parliamentarian now. Her name is Şükran Güldal Mumcu. She tried to find the Murderers of her husband but couldn’t. 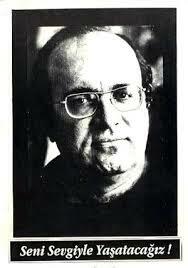 Because Uğur Mumcu was killed by Jew-controlled Turkish Intelligence Agency. Everyone knows that but can do nothing. Even his wife. Another murder was General Eşref Bitlis. He was killed by same Jew controlled organization. General Eref Bitlis knew everything about Jew Controlled Turkish Army and PKK. He tried to stop them but he was killed. Another murder was Gaffar Okkan. He was a police chief. Another murder was Adnan Kahveci, a parliamentarian who investigated Kurdish Terror in Eastern Anatolia and prepared some documents. He was killed by same Jew-controlled organisation. Muhsin Yazıcıoğlu, another parliamentarian was killed by Turkish Military Forces. Another murder was Turgut Özal. He was the President. He was poisoned by the Turkish Intelligence Agency because he tried to solve Kurdish Terror. Turkish Military Forces haven’t been dismantled yet. Illuminati Jews still control Turkey by using Military Puppets. I planned to use these documents as my Masters thesis and afterward, I would publish them as a book. After expulsion from the university, I couldn’t find a job. Jews stopped all of my job applications. I tried to save some money so I could leave Turkey and start a master program abroad. I wanted to follow my researches. But Turkish Military Forces and Intelligence Agency stopped all of my applications. They forced me to live in poverty without a job. I tried to find any job or scholarship out of Turkey. I sent hundreds of emails to the universities and non Governmental Organizations out of Turkey. Russia, China, Australia, Ecuador, Venezuela, Spain, Italy, UK and more. But no one replied. 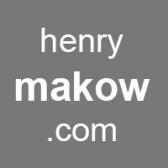 Within the Arab Spring, International Jewry renovated the puppets in the Middle East and Turkey. All the Military Servants were dismantled and Judaist Muslims (Muslim Islamists) got the power. So I was stuck between their old puppets and new puppets. Turkish Military Forces were former Jewish Servants and Judaist Imam Fetullah Gülen’s Islamic Sect is the new servant of Jews. I applied to the court and tried to reach some parliamentarians to help me but no one helped me in Turkey. I was completely alone. I have been followed by Jews for nine years. Not only Jew-Controlled Turkish Military Forces and Jew controlled Intelligence Agency follow me but also other Jew-controlled Intelligence Agencies like MI-6 follow me. I saw some British spies following me. Now I am completely isolated in my own country. Several journalists who have tried probing Gulen have found themselves prosecuted or jailed. He has hundreds of schools around the world. These schools are financed by CIA drugs. And these schools act like CIA & MOSSAD offices. If he doesn’t die in a few years, Jews will anoint him as the Caliph of the Muslim World. What is Caliph? The master spiritual leader of the Muslim World. The UNIQUE LEADER. A kind of Judaist Muslim Pope. Within the Arab Spring in Egypt, Morocco, Algeria, Syria, Tunis, Libya, Yemen and Turkey, tens of “Justice and Development Parties” were established. In the Middle East, these parties were supported by the Illuminati Jew-controlled Muslim Brotherhood. In 1997 Abdullah Gül was invited to New York for CFR meeting. Council Of Jewish Foreign Relations. And after this meeting AKP was established and won the elections in 2002. 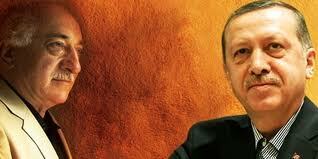 Now he is the president of Turkey. 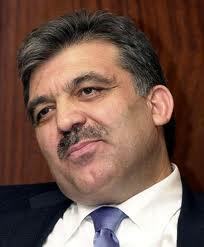 It is believed that Abdullah Gül is also a crypto Jew. He signs like a Freemason. We have to save the humanity. We have to inform the humanity. Otherwise Only 14 Million Jewish Traitors will destroy the planet and kill all of us. I have been living like a poor in Turkey and Turks are hypnotized by Jews. I am completely alone in my own country. Turks only think LUXURY and FRAUD. Their main goal is to earn much money easily and make PARADE. Jews know that very well. And Jews know that “All the Turks can be bought and used”. In Turkey you can buy everything if you have money. In Turkey you can BUY!!!!! even a professor diploma. You do not need to go to the university. You do not need to have a Master and Doctoral Degrees. You do not need to study. Only you need some DIRTY MONEY. Turkey is a Jew owned CORRUPT and DEFRAUDED country. the Donmeh are Illuminati i.e Satanists, Freemasons. Although known to historians and religious experts, the centuries-old political and economic influence of a group known in Turkish as the “Dönmeh” is only beginning to cross the lips of Turks, Arabs, and Israelis who have been reluctant to discuss the presence in Turkey and elsewhere of a sect of Turks descended from a group of Sephardic Jews who were expelled from Spain during the Spanish Inquisition in the 16th and 17th centuries. These Jewish refugees from Spain were welcomed to settle in the Ottoman Empire and over the years they converted to a mystical sect of Islam that eventually mixed Jewish Kabbala and Islamic Sufi semi-mystical beliefs into a sect that eventually championed secularism in post-Ottoman Turkey. It is interesting that “Dönmeh” not only refers to the Jewish “untrustworthy converts” to Islam in Turkey but it is also a derogatory Turkish word for a transvestite, or someone who is claiming to be someone they are not. 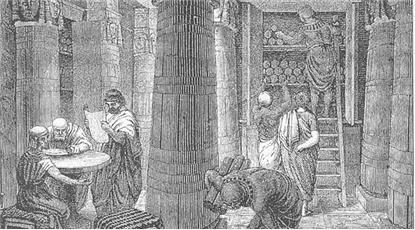 Many Dönmeh, along with traditional Jews, became powerful political and business leaders in Salonica. 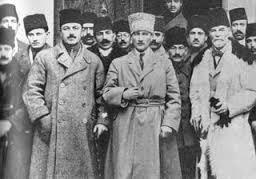 It was this core group of Dönmeh, which organized the secret Young Turks, also known as the Committee of Union and Progress, the secularists who deposed Ottoman Sultan Abdulhamid II in the 1908 revolution, proclaimed the post-Ottoman Republic of Turkey after World War I, and who instituted a campaign that stripped Turkey of much of its Islamic identity after the fall of the Ottomans. Abdulhamid II was vilified by the Young Turks as a tyrant, but his only real crime appears to have been to refuse to meet Zionist leader Theodore Herzl during a visit to Constantinople in 1901 and reject Zionist and Dönmeh offers of money in return for the Zionists to be granted control of Jerusalem. After his ouster by Ataturk’s Young Turk Dönmeh in 1908, Abdulhamid II was jailed in the Donmeh citadel of Salonica. He died in Constantinople in 1918, three years after Ibn Saud agreed to a Jewish homeland in Palestine and one year after Lord Balfour deeded Palestine away to the Zionists in his letter to Baron Rothschild. One of the Young Turk leaders in Salonica was Mustafa Kemal Ataturk, the founder of the Republic of Turkey. Some texts suggest that the Dönmeh numbered no more than 150,000 and were mainly found in the army, government, and business. However, other experts suggest that the Dönmeh may have represented 1.5 million Turks and were even more powerful than believed by many and extended to every facet of Turkish life. 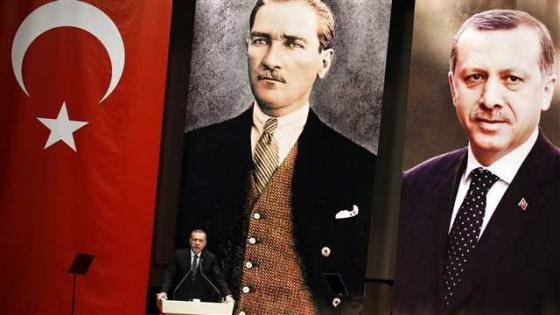 It was Ataturk’s and the Young Turks’ support for Zionism, the creation of a Jewish homeland in Palestine, after World War I and during Nazi rule in Europe that endeared Turkey to Israel and vice versa. 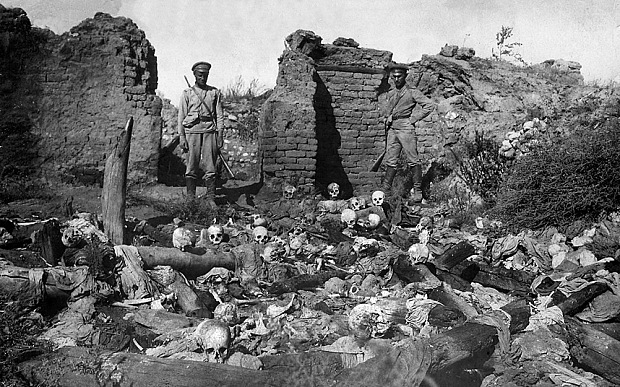 Israel has always been reluctant to describe the Turkish massacre of the Armenians by the Turks in 1915 as “genocide.” It has always been believed that the reason for Israel’s reticence was not to upset Israel’s close military and diplomatic ties with Turkey. However, more evidence is being uncovered that the Armenian genocide was largely the work of the Dönmeh leadership of the Young Turks. Historians like Ahmed Refik, who served as an intelligence officer in the Ottoman army, averred that it was the aim of the Young Turks to destroy the Armenians, who were mostly Christian. The Young Turks, under Ataturk’s direction, also expelled Greek Christians from Turkish cities and attempted to commit a smaller-scale genocide of the Assyrians, who were also mainly Christian. The Dönmeh leadership of the Young Turks not only murdered hundreds of thousands of Armenians and Assyrians but also stamped out Turkey’s traditional Muslim customs and ways. 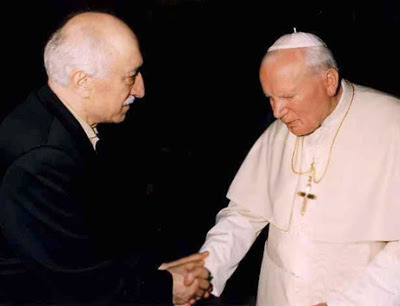 Knowledge that it was Dönmeh, in a natural alliance with the Zionists of Europe, who were responsible for the deaths of Armenian and Assyrian Christians, expulsion from Turkey of Greek Orthodox Christians, and the cultural and religious eradication of Turkish Islamic traditions, would issue forth in the region a new reality. Rather than Greek and Turkish Cypriots living on a divided island, Armenians holding a vendetta against the Turks, and Greeks and Turks feuding over territory, all the peoples attacked by the Dönmeh would realize that they had a common foe that was their actual persecutor. By Gilad AtzmonIt is far from being a secret that the EU doesn’t posses the political, legal, material and cultural means to counter the refugee crisis. But our European leaders didn’t give up, they have now found an ideal solution — they bought their way out. A global crisis that that was instigated by a chain of Zio-con immoral interventionist wars is just about to be ‘resolved.’The EU will pay €3 billion to the Turks to handle the refugee situation. In return, Turkish citizens (may) be able to travel without visas in Europe’s Schengen zone. As we know, many of those who flee Syria, Iraq and Afghanistan make their way to Europe through Turkey. The EU message to turkey is simple — you can do what ever you like with these refugees, just make sure that you don’t send them to us. In the last 5 decades European cities have seen a tidal wave of Turkish immigrants, many of them coming over to take care of tasks and labour markets Europeans were happy to give away. It is only natural that the EU will attempt to use Turkey as its task force in the battle against the refugees. After all, no one in Europe knows how to handle this crisis. We may as well leave this dirty job to the Turks.